Our crew has been trouble shooting and have removed some trees but another issue remains on the line. Crews were patrolling by snowmobile but were unable to get to all structures. A Helicopter is arranged for first light. Please stay safe. Check in on family and neighbors. 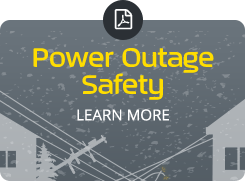 If you need to report an issue or outage – call us at 1-888-737-1296.